Carlton graduated from Mississippi State University with a Bachelors degree in Agricultural Economics, Mississippi Real Estate Institute and obtained his Real Estate License from the Mississippi Real Estate Commission in 1999. Carlton began his real estate career with Jack Lowe Real Estate of Kosciusko, Mississippi in March 1999. In 2005 he became an agent for Mossy Oak Properties Howell & Howell Estates and Land of Carthage Mississippi. On December 8, 2006 Carlton was selected as Real Estate Agent of the year for his excellent efforts in real estate sales. In September 2009, Carlton successfully completed the Mossy Oak Properties, Inc. "Certified Land Specialist" 16 week training course. 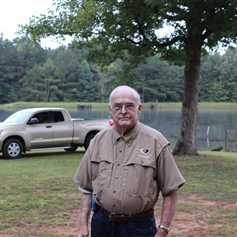 Carlton retired from USDA Rural Development in 1996, after 31 years of service. In this position he was involved in financing real estate, community facilities, water & sewer projects, farms, residential and commercial property.